이성식,(2012).대학생의 인터넷 저작권침해행위에 있어 중화의 작용과 이론들의 검증.한국사회학,46(5),211-232. 이 연구는 대학생들의 인터넷 저작권침해행위의 원인을 파악하기 위한 노력으로 사이크스와 맛짜(Sykes and Matza)의 중화이론을 검증하였고 아울러 중화의 작용을 중심으로 다른 이론들과의 논쟁을 다뤘다. 서울시 남녀 대학생 286명을 대상으로 분석한 연구결과에서는 중화가 인터넷저작권침해행위에 있어 중요한 설명요인임을 제시했고, 이는 침해행위 유형별로도 음악, 영화,방송, 소프트웨어침해 모두에서 유의미했던 것으로 조사되었다. 본 연구결과는 또한 중화이론의 예측대로 중화의 기술과 저작권침해에 대한 긍정적 태도간의 상호작용효과가 저작권침해의도에 부(-)적으로 유의미한 영향력을 갖는 것으로 제시되었다. 이는 중화의 기술은 인터넷 저작권침해에 대한 긍정적 태도가 낮고 도덕적 신념이 높을 때에 한해 저작권침해에 영향을 주는 것임을 나타내는 것으로, 중화이론의 논의를 지지하는 결과이다. 하지만 중화이론과는 달리 저작권침해태도가 직접적으로 침해의도에 영향을 준다는 결과 또한 발견됐다. 낮은 자기통제력은 저작권침해에 유의미한 영향력을 갖지 못했다. 본 연구결과는 전체적으로 복합적이지만 중화이론이 대체로 지지되었음을 확인할 수 있었다. This study intends to test Sykes and Matza?s technique of neutralization theory to explain university students? internet digital piracy. This study tests not only the independent effect of neutralization and attitude toward digital piracy but also their interaction effects. 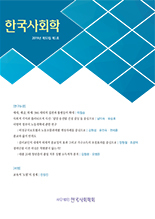 Using data from 286 male and female university students in Seoul, results show that neutralization has a large effect on internet digital piracy. In addition, consistent with neutralization theory, interaction effect between neutralization and attitude toward digital piracy is statistically significant. That is, it is revealed that neutralization has an effect on internet digital piracy when attitude favorable to digital piracy is low. However, inconsistent with neutralization, results show that the independent effect of attitude on digital piracy is also significant. It is found that low self-control has no significant effect on digital piracy. Overall, those findings are mixed, but partially support neutralization theory.